February - the month of frosty weather (for some), candy hearts, and the Super Bowl! Mary and I enjoy February for lots of reasons, one being it is our anniversary month and another being that the official start of spring is next month! We also enjoy Valentine's and fondly remember passing out Valentine to classmates in elementary school. Whether or not you have a special someone in your life at this time to share Valentine's with candy and roses, you can nevertheless send loving wishes to those special people in your life - neighbors, co-workers, parents, etc. 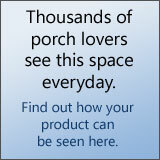 Check Out Our Valentine's Porch Decorating Ideas! 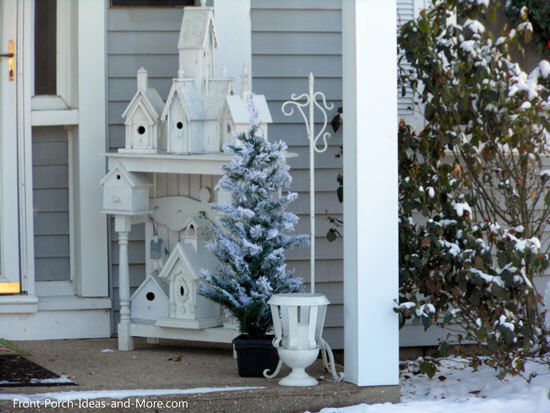 February is a perfect month to start planning your spring and summer projects too. Garden and flower catalogs should be arriving soon and before you know it your porch will welcome some attention as well! This 3 bedroom and 2.5 bath home has many energy saving features that cost minimize costs and will save energy over its lifetime. 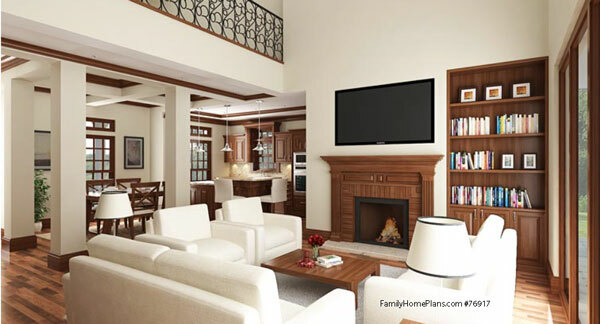 Review our section on home plans. 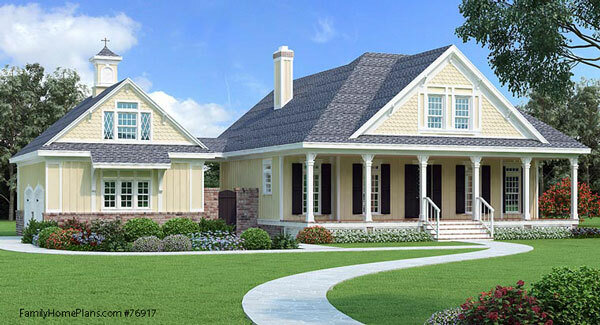 Not only is it useful to those contemplating building a home but also to those who are remodeling or who want creative front porch designs and as you can see, landscaping ideas too! Listen to our podcast with Jarret Magbee, CEO and President of Family Home Plans, who offers insight into purchasing home plans online! 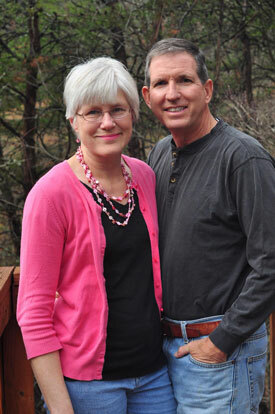 Mary and I enjoy our wild birds and feed them year-round. 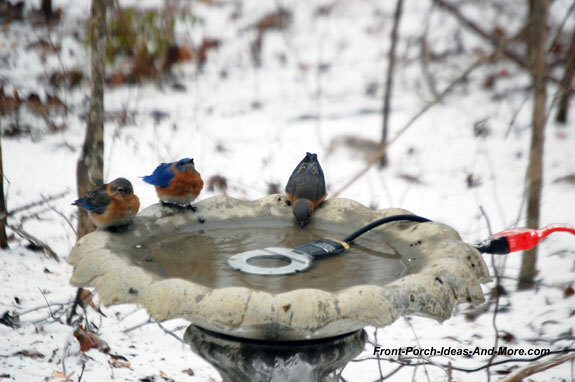 They love our birdbath as much as the seed we provide, especially in winter. If you or someone you know loves to care for our feathered friends, we highly recommend a bird bath deicer like the one shown below. We've had several over the years but none have worked better than our Farm Innovators deicer. It is thermostatically controlled and will keep your bird bath free from ice during the winter months. We like that this birdbath heater (affiliate) is reliable and has a 3-year warranty. It doesn't seem to bother the birds at all with the only downside is the water evaporates a little more quickly. We love our fireplace in winter - we even cook in it! 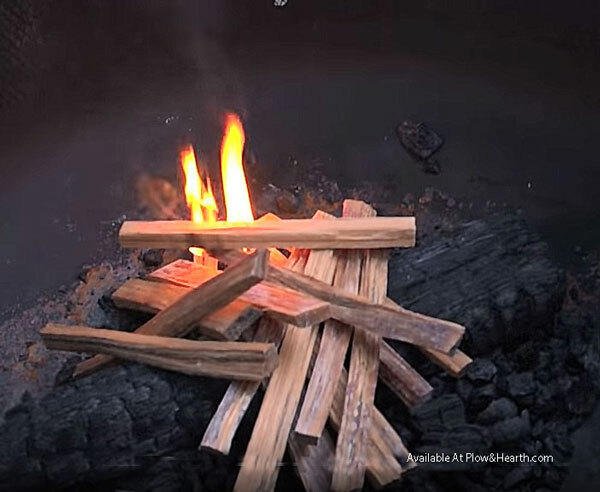 Fatwood kindling with organic resins ignite instantly and burns with extremely high heat to get your fire started fast (they even light when wet)! It is harvested from naturally felled trees and is a natural, environmentally friendly fire starter. Perfect for fireplaces, firepits, wood stoves, and more. Check out your Fatwood options! 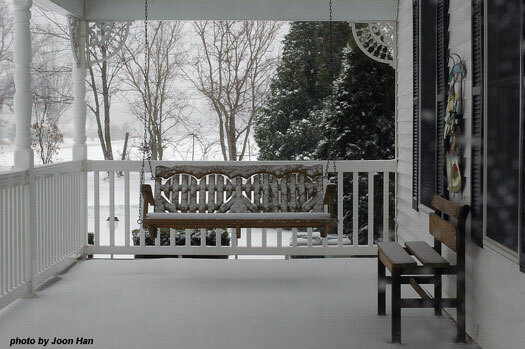 Dreaming Of A New Front Porch For 2017! 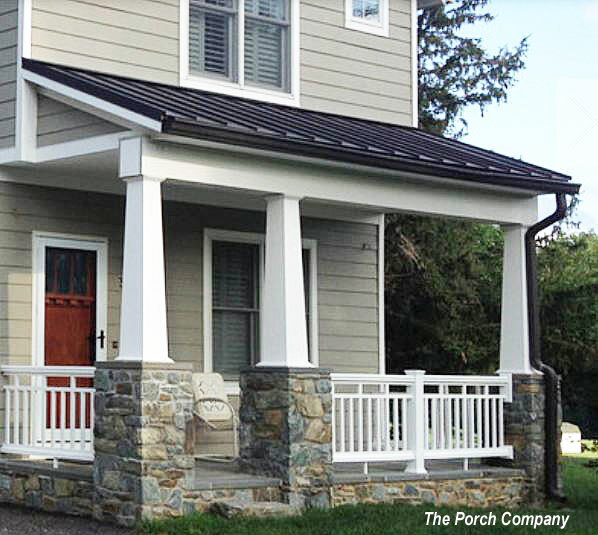 Even if you have a porch design in mind (or not), we encourage you to investigate our design and build options. 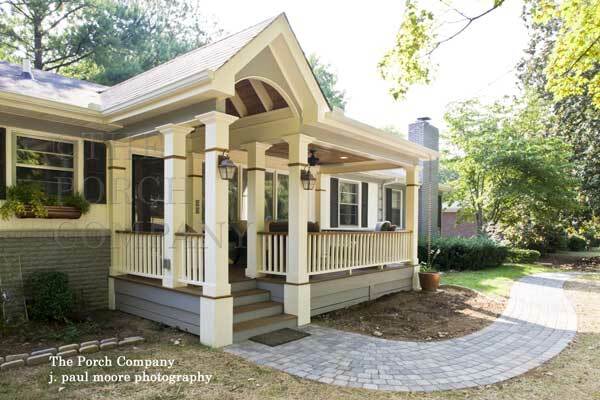 We have extensive information from selecting the right location and architecture, to what is involved in building a new porch. Listen to our podcast with Gregory Tatsch, owner of Vintage Woodworks, who shares what you need to know before you build or remodel your porch. 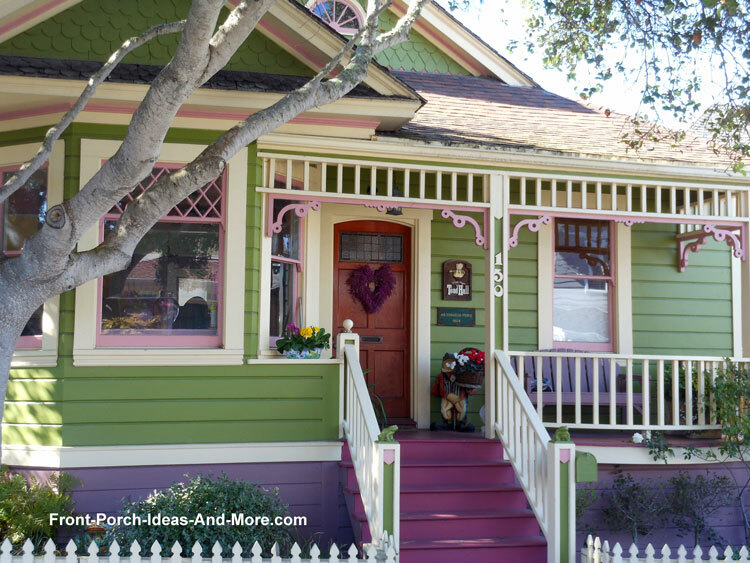 Update your porch and add lots of charm to your home. 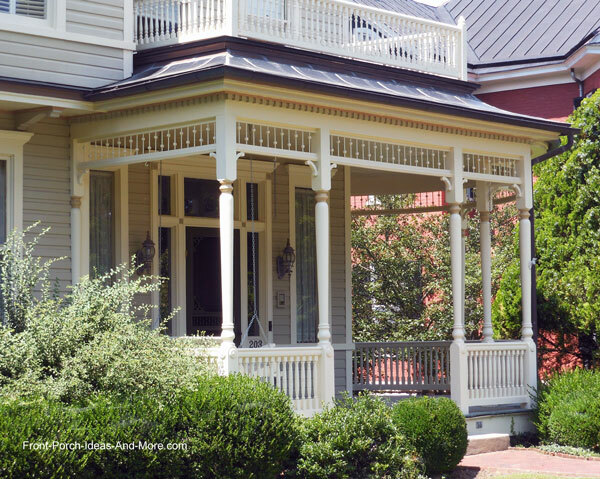 Whether it's a new metal porch roof (we like red) or changing out your porch balustrade, increase the value and aesthetics of your home this year. We truly value our sponsors and the products and services they provide. We may receive a commission if you purchase a product you see on our website (affiliate link). You're invited to be part of our Facebook community. 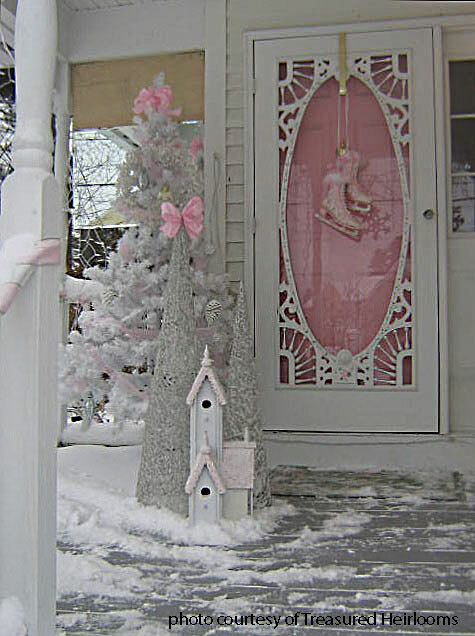 We share ideas with one another for decorating and using our porches. We have over 8,100 porch friends and would love to count you among them.